“MTB" refers to the "plated disc" which is a steel plate used as the closure member. "H" refers to the handwheel operation. "RY" refers to OS&Y rising stem design. G.A drawing of MTB-HRY handwheel op. 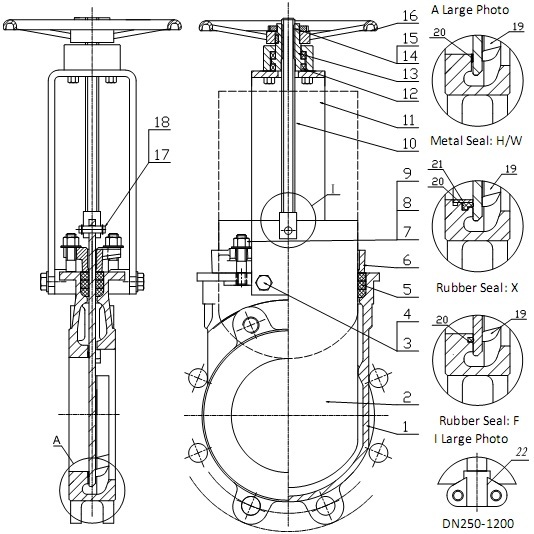 OS&Y rising stem knife gate valve. 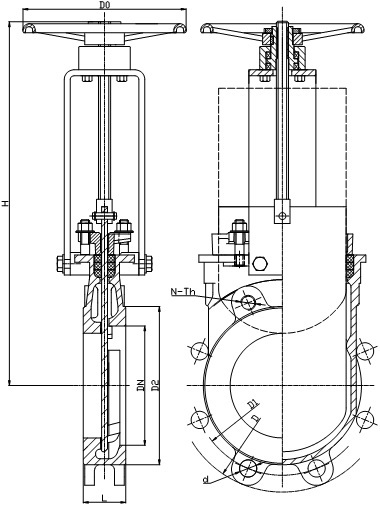 The outline drawing of MTB-HRY series knife gate valve.